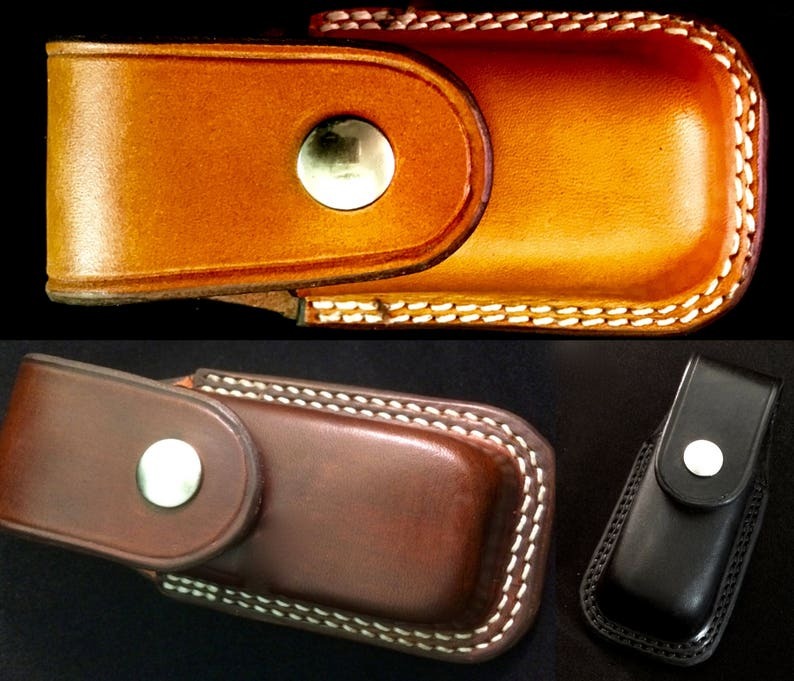 The horizontal carry case/sheath is made for comfort and durability! Only the best part of the hide is used for my sheaths! - Formed to fit the model of your choice! - Fits Leather belt loop up to 1.5" belt! This product is made to ensure that your tool is secure in its case! Very nice, well-made sheath for my Wave. Thanks! Contacted the seller with questions about customization and he got back promptly. Very happy with the quality of construction and appearance of the sheath. I’ve been disappointed with the quality of commercially-made sheaths and this one has none of the flaws of those. Would definitely buy again. The skill, craftsmanship, attention to detail, and customer care of Nay is simply first class. Expect speedy delivery, excellent communication, and a product that will truly delight you. I was SO impressed that I ordered another product immediately. And THAT says it all.